i love these shoes, i was so close to buying some at the weekend, think i'll have to go back and buy some! ah you have so many! 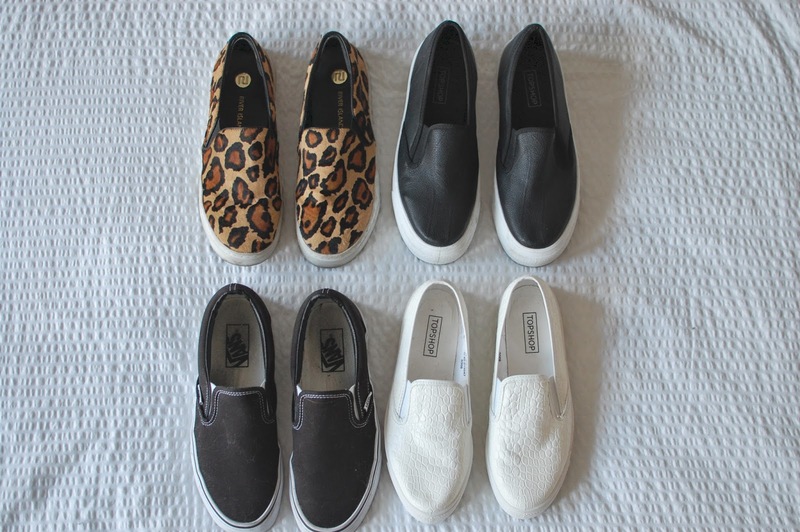 I love the leopard ones and am thinking of investing in some myself! Love the white ones!! Looks super comfy but still chic. I'm in love with these types of shoes. I used to wear them al the time as a teen too. I love this style of shoe. Perfect for spring and summer!